And the blue camo is going to work on a motorbike exactly where? Flying? Swimming? Great oxymoron, whoever decided to paint it. My friend Hat had one of those! Achingly pretty, only 200 made I believe of this version. 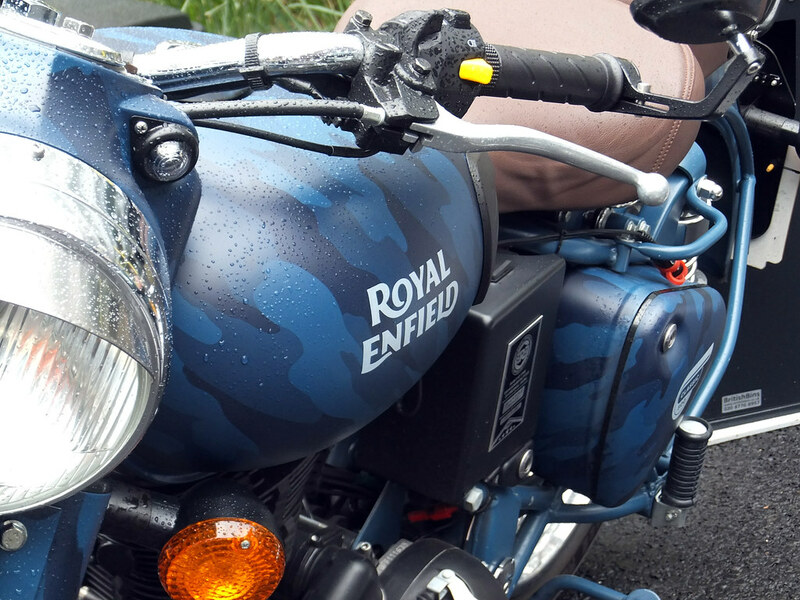 We were just talking about Royal Enfield last week. My bike instructor did an India trip on one. Think it was something of a highlight for her.